For a change it was a late start today. 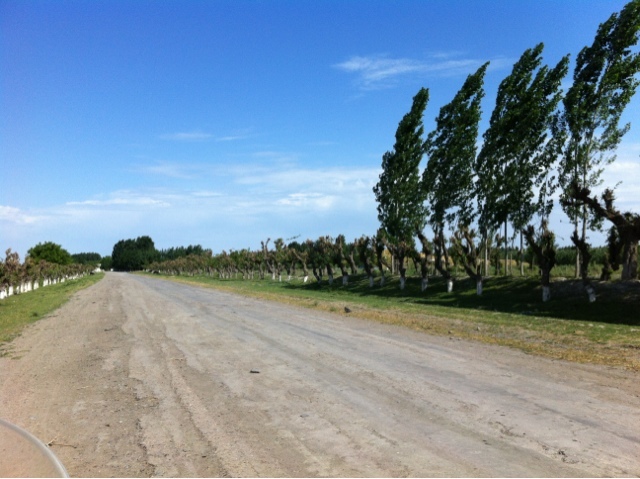 Only 270km on a good road from Bukhara to Samarkand. After a morning's sightseeing in Bukhara, Deefor hit the road at 12:00 and had a leisurely ride. The land in this stretch is fertile and the fields full of wheat and cotton. The people are friendly and curious. If you stop to take a picture they stop to find out who you are and offer lunch. So kind. Driving into Samarkand someone had built a concrete barrier across the road. A detour took us through back streets, car ports, sand and loose gravel to emerge on another highway and into the city. Deefor has arrived in Samarkand. The high point of the trip.